Though the research is young, there is growing evidence to suggest that probiotics can boost athletic performance and enhance recovery. This suggests that adding a probiotic to your fitness routine may enhance your athletic performance, particularly in the long run. As the positive impact of probiotic supplementation on health is becoming more and more well-established, probiotic research has expanded into more and more fields of study and is now venturing into the world of athletics, with new studies aiming to determine whether probiotics boost athletic performance. And the results have been pretty interesting, to say the least. 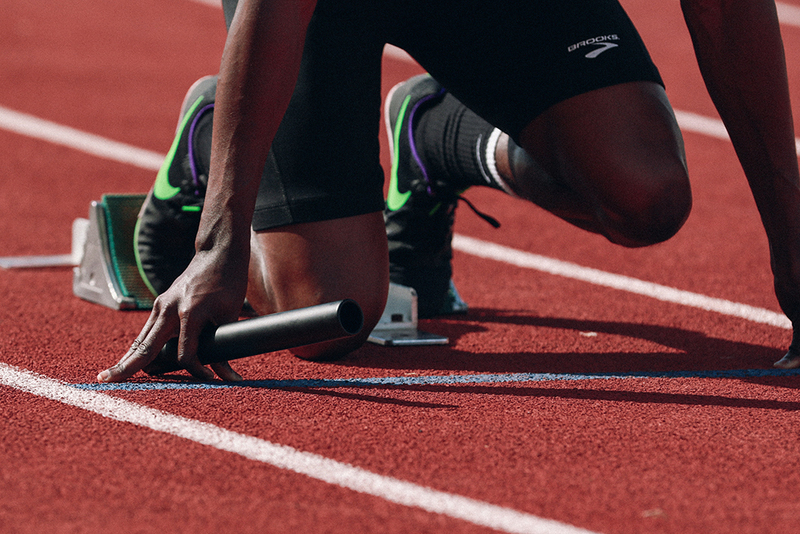 Let’s check out the research to see if it looks like probiotics may be capable of giving you a competitive edge on the field, court, track, pool, gym — or where ever you make your athletic magic happen. Can Probiotics Alone Enhance Athletic Performance? Can Probiotics Combined with Specific Training Enhance Athletic Performance? 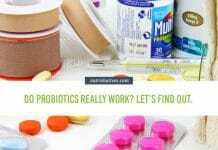 To date, there have been three randomized studies looking at the effects of probiotic supplementation on athletic performance. Let’s start with number 1! 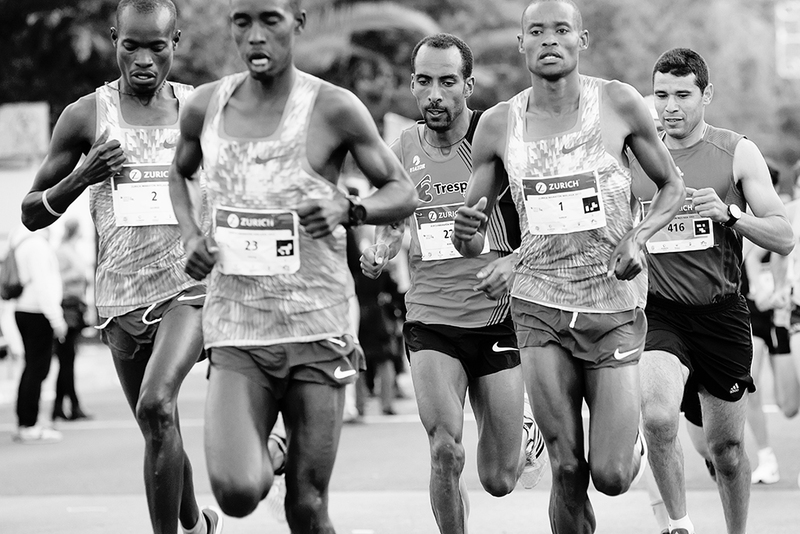 The first study followed 20 elite level endurance runners for a total of four months. At the start of the study, the participants underwent a maximal exercise test (using a treadmill). In this test, researchers measured the athlete’s maximal oxygen uptake (or ‘VO2max’ – a key marker of aerobic fitness). They were then given a daily dosage of the probiotic Lactobacillus fermentum for 28 days (enough time to alter their microbiota), and then they were given another maximal exercise test. After this second test, the athletes had a 28-day washout period, during which they consumed no supplements at all (allowing enough time for the probiotics to leave their gut). Then, they repeated the entire process one more time – but rather than take a probiotic, they took a placebo (which, in this case, was a tasty sugar pill) for the 28-day trial phase. At the completion of the study, there were no differences observed between any of the measured VO2max values, suggesting probiotics have no athletic performance enhancing effects. The second study also looked into the impact that probiotic supplementation can have on VO2max in endurance athletes — this time from various sports, not just running. Researchers split the athletes, randomly, into one of two groups, an intervention group and a control group. 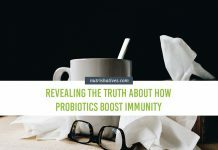 The intervention group were given a daily dose of the probiotic Lactobacillus helveticus for 14 weeks (again, allowing enough time for the probiotic to populate the gut), while the control group took a placebo for the same duration. Participants didn’t know which group they were in. Researchers measured VO2max both before and after the 14-week period. In a similar fashion to the first study, there was no significant difference between the measured VO2maxes of those who took a probiotic, and those who didn’t. The last study looked at 10 elite male distance runners. At the start of the study, these runners performed a maximal exercise test to measure both their VO2max and their ventilatory threshold (another key measure of aerobic performance), before being placed into a control group or an intervention group. The intervention group supplemented their daily diet with a probiotic containing a mixture of nine strains of bacteria (Lactobacillus acidophilus, Lactobacillus rhamnosus, Lactobacillus casei, Lactobacillus plantarum, Lactobacillus fermentum, Bifidobacterium lactis, Bifidobacterium breve, Bifidobacterium bifidum and Streptococcus thermophilus) for 4 weeks, while the control group supplemented with a placebo (another tasty sugar pill). After the 4 weeks were up, all the runners underwent a fatigue test on the treadmill. This test required them to run at 80% of their predetermined ventilatory threshold in a very hot room until exhaustion. Researchers recorded this ‘time to exhaustion’ and used it as the measure of the athlete’s performance. Interestingly, those who took the probiotic saw a serious increase in their time to exhaustion, while the control group didn’t. 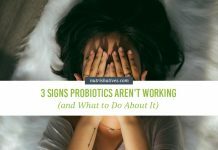 Although the results of two of the three studies suggest that probiotics do not have the ability to improve athletic performance — and you’d likely conclude probiotics get a nay — it might not be as black-and-white as that. This is because these studies, though far better than having no studies, don’t provide all the information you need to make a “nay”-call. Firstly, two of these three studies only looked at a single measure of performance (VO2max, and not time to exhaustion, anaerobic threshold, or time trial performance). 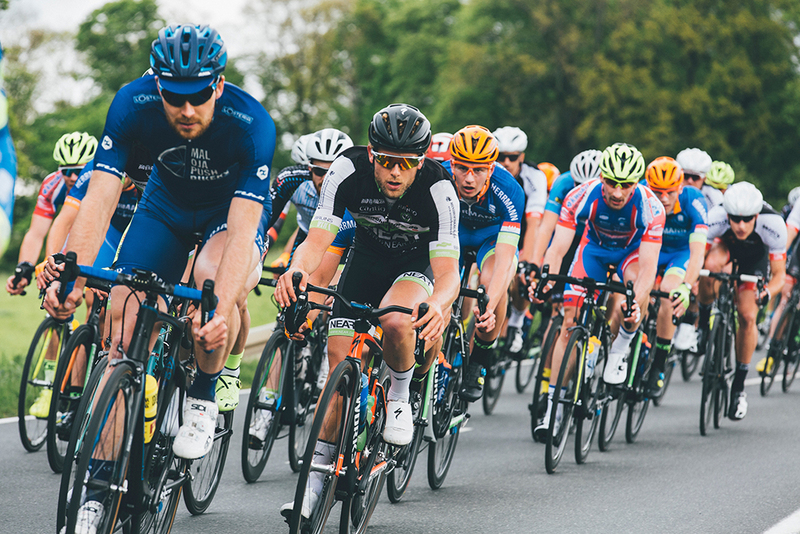 So, even though they showed no effect on VO2max, that doesn’t mean that probiotic supplements couldn’t have the ability to enhance other aspects of performance, such as muscle strength, muscle power, or anaerobic exercise performance. Given the result of the third study which looked at time to exhaustion, this becomes pretty obvious. Secondly, despite being well controlled, the participants from all studies continued their normal training (they were elite athletes, after all). This means there is a slight possibility that the athletes’ training may have affected the results of the maximal tests. Some of the athletes might have had muscle fatigue before the test, which could, obviously,skew the results. Let’s give them a very cautious: maybe. Now, although this is arguably one step removed from athletic performance, I really believe it holds relevance. There is currently one research article looking at the effect of probiotics on recovery after very intense exercise. Of course, the results are tentative, but quite promising. In this study, 29 adults performed a supervised single leg training session consisting of high volume, high-intensity exercise. 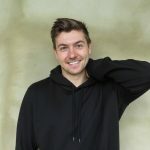 You can take a look at the training protocol training protocol here, but let me assure you, it was pretty brutal! Then, 24, 48, and 72 hours after the session’s completion, physical indicators of muscle damage were obtained (by looking at the levels creatine kinase in the blood), as were perceived measures of recovery and sensations of muscle soreness. The participants also performed strength and power testing 48 hours after the exercise session. After the testing session, the participants supplemented with 20 grams of casein for 14 days, and repeated the training protocol. Then there was a 7-day washout period where the participants did nothing. Once the washout period was complete, the participants completed the whole thing again on other leg. Rather than supplementing with protein alone, though, they supplemented with a combination of casein and the probiotic Bacillus coagulans. Perceptions of recovery, muscle soreness and creatine levels were much lower in the probiotic group at every time point. Additionally, the probiotic group showed better strength and power 48 hours after exercise. This suggests that supplementing with probiotics may speed up the recovery process. And having a quicker recovery time lets you work out harder, more frequently. Working harder and longer can have a positive effect on athletic performance, long-term. Which leads us to our next point quite nicely. 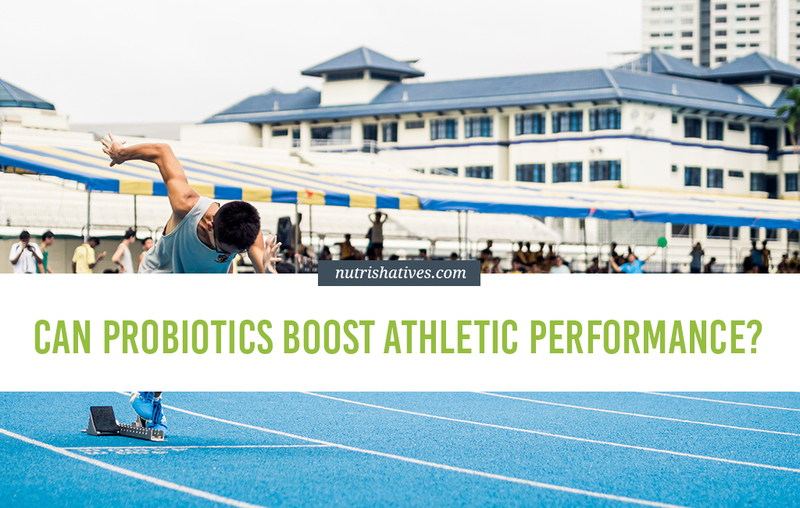 There are currently two studies looking into the effects of probiotic supplementation combined with specific training on various measures of athletic performance – and they show mixed results. The first study looked at two groups of adolescent female endurance swimmers: an intervention group, who received a daily dose of probiotic enriched yogurt for 8 weeks, and a control group, who received a daily dose of normal yogurt for 8 weeks. The probiotic enriched yogurt contained the probiotic strains Lactobacillus acidophilus, Lactobacillus delbrueckii bulgaricus, Bifidobacterium bifidum, and Streptococcus salivarus thermnophilus. During the 8-week period, all participants underwent the same swim training program. Both VO2max and 400-meter swim times were measured before and after the 8 weeks, and were used to track any changes in athletic performance. While both groups did see improvements in their VO2max and their 400-meter swim times, the probiotic group saw much larger improvements (which is obviously a big positive). An intervention group who underwent 12 weeks of circuit training and took a probiotic supplement daily. The probiotic supplement included the bacterial strains Lactobacillus acidophilus, Lactobacillus casei, Lactobacillus lactis, Bifidobacterium bifidum, Bifidobacterium infantis, and Bifidobacterium longum. Before and after the intervention all groups underwent muscular strength and power testing using a fancy piece of equipment known as an isokinetic dynamometer. As you would expect, neither of the sedentary groups saw a change in performance over the 12 weeks. Both of the training groups, however, saw large improvements in strength and power by the end of the intervention. Unfortunately, neither training group’s results appeared to be better than the other. This suggests little or no effect of the probiotics on their gains. The results of these studies suggest that probiotics may be able to enhance the results of training over time. This effect may be more pronounced in aerobic exercises (like swimming) than for strength and power exercises (like weight lifting). 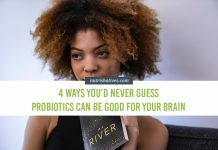 If we also take a second to consider that studies suggest probiotics can boost recovery, they may also provide a way to allow us to train harder for longer over longer time periods – which is highly likely to result in greater performance gains long term. We give probiotics for long-term performance gains a cautious: maybe. Now, it’s easy to see that many of these studies used different probiotic strains in their supplements. (Actually, this may partially explain the varying results between the studies). 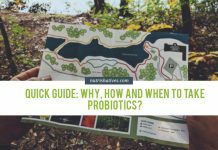 So, based on the studies we have so far, if you’d like to try a probiotic supplement to boost your athletic performance, hunting one down that contains at least one of these strains may be your best bet. 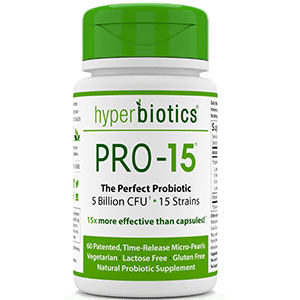 This probiotic supplement by Hyperbiotics includes 8 of the 9 strains listed above (it’s only missing Bacillus coagulans), suggesting it may be a good bet for boosting athletic performance. With over 80% 4+ star-ratings on Amazon, this is one of the most popular options on the market! 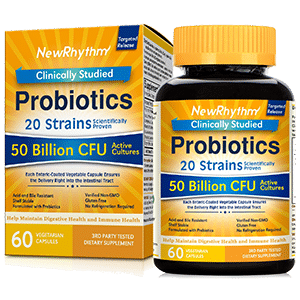 This specific probiotic by NewRhythm includes a whopping 20 strains of bacteria, including 9 of the 9 suggested to improve athletic performance (again, this particular option does not include Bacillus coagulans). An incredible 91% of consumers on amazon have rated this supplement 4 or more stars. Many rave about its capacity to improve digestive health and function, as well as stave off disease and illness! Both of these effects are likely to have an added, indirect beneficial impact on your athletic performance. 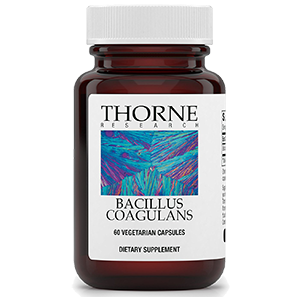 This specific probiotic supplement by Thorne Research provides us with a potent dosage of Bacillus coagulans – our key recovery probiotic strain. With this in mind, it would make a great option to use with one of our other two options. With 73% of consumers giving this product 5 stars on Amazon, you can be sure of its quality and effectiveness. 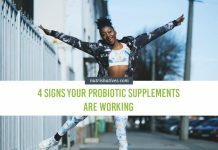 Probiotics offer us a fantastic way to boost digestive health, stave off disease and illness, and improve metabolism. Want to learn more about simple ways to boost your athletic performance? SUBSCRIBE to our newsletter and we’ll deliver the latest exercise science straight to your inbox!